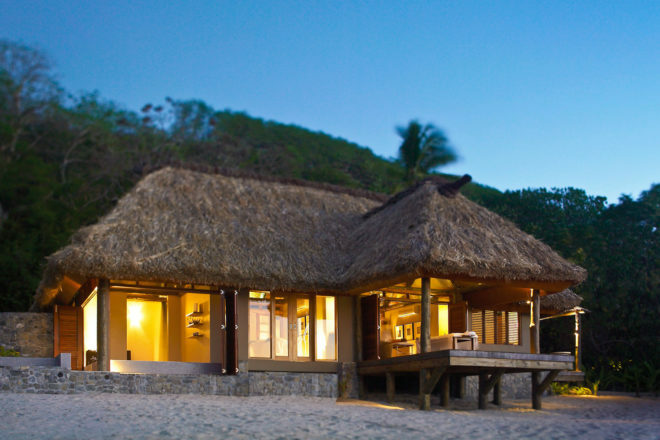 Yasawa Island Resort & Spa, Fiji. Ranked #59 in our countdown of the 100 Best Hotels and Resorts in the World. All you need is swimmers and a sarong. Palm-cloaked Yasawa Island is the original tropical Eden, a getaway-from-it-all dreamscape. Ocean breeze drifts through plantation shutters. Picnic on a deserted beach, swim in the blue lagoon, soak up some spa treatments or just unfurl in a palm-shaded hammock. And, of course, feast on just-caught seafood wherever you please – beach, bure or under the stars. Did you know If the village chief grants permission, you may visit traditional Fijian villages where school children welcome you with song.